If your property doesn’t have a fence, it’s tough to take full advantage of your outdoor space. With pets or young children, you’re probably uncomfortable letting them play outside unsupervised. A fence provides a great many benefits to you and your family. It offers security, privacy, and the right fence will even help with curb appeal. 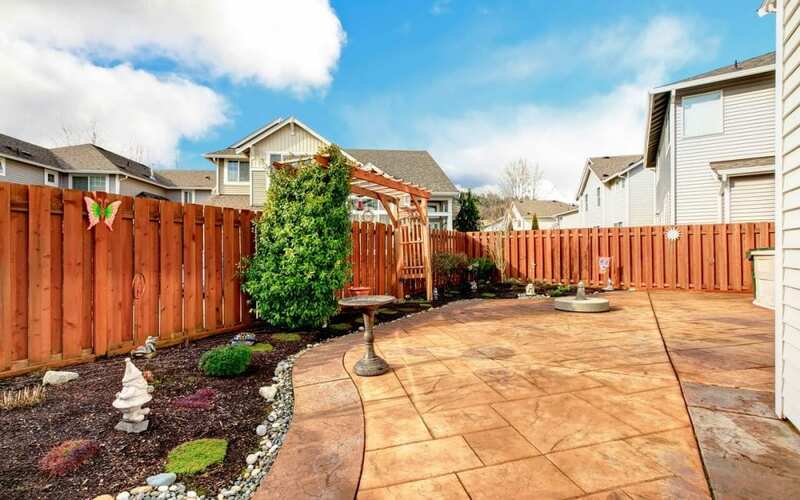 A fence can also increase the value of your property should you decide to sell in the future. When you’re ready to have a fence installed, here are some things to keep in mind as you plan for a new fence. The very first thing you should do once you’ve decided to install a new fence on your property is to pay a visit to the town hall. Tell them you’d like to learn about the local regulations about fences. They’ll be able to tell you if there are any restrictions about the type, height, or color of the fence you’re allowed to install. There may also be restrictions on the type of fence material allowed and you may need to get a permit for the fence. The laws about fences vary from place to place. Be sure to take note of all the rules so you can be in total compliance with local ordinances. Now that you know what is and isn’t allowed, think about your plan for a new fence. Do you want to keep people from seeing into your yard? Do you want to keep your kids away from the swimming pool when you aren’t there to supervise? Is it to keep your dogs in the yard? Are you just looking to enhance curb appeal? These questions are important because there are different kinds of fences to choose from depending on your goals. Settling the question of the primary function helps narrow down what kind of fence you should get. You don’t have to be an artist, but you should make a rough drawing of where you want your fence to go. This will help you visualize how the fence will look. The sketch can also be shown to fence contractors to help them give you an estimate. It’s a good idea to inform your neighbors whenever you intend to put up a new fence. A fence changes the landscape and it will change their view of your property and theirs. If you don’t let neighbors know ahead of time, it might cause resentment. Show your neighbors your rough sketch so they, too, can visualize the final fence. Even if you think you already know where your property lines are, it’s always a good idea to confirm before building a fence. You don’t want to start a dispute with a neighbor or a future neighbor. You might be able to determine the property lines from looking at your deed. When you purchased the home, you may have also received a map that outlines the property. If you don’t have access to any of these documents, the other option is to hire a surveyor. This is an additional cost, but knowing the property lines before building a fence is essential if you plan for a new fence anywhere near the lines. Now it’s time to contact reputable fence contractors in your area. Talk to them about your budget and the purpose of the fence. Get estimates from at least three different contractors. It’s a good idea to look at online reviews when choosing a fence company. Whatever the main reason is for your new fence installation, keep these six steps in mind as you plan for a new fence. Homebuyer’s Inspection Service provides home inspection services to the Dallas-Fort Worth area. Contact us to book an appointment.